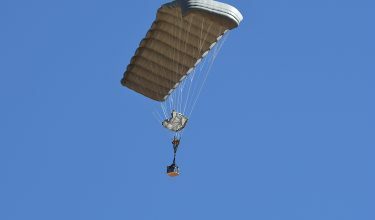 PENNSAUKEN, NJ October 3rd, 2016: Airborne Systems North America proudly presents the Hi-5® as the latest addition to our line of High Performance Ram Air Parachutes. 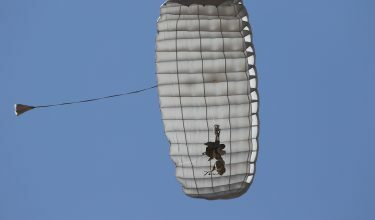 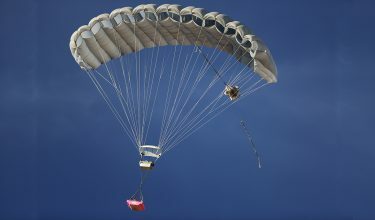 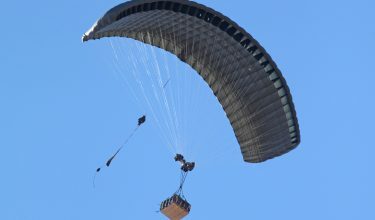 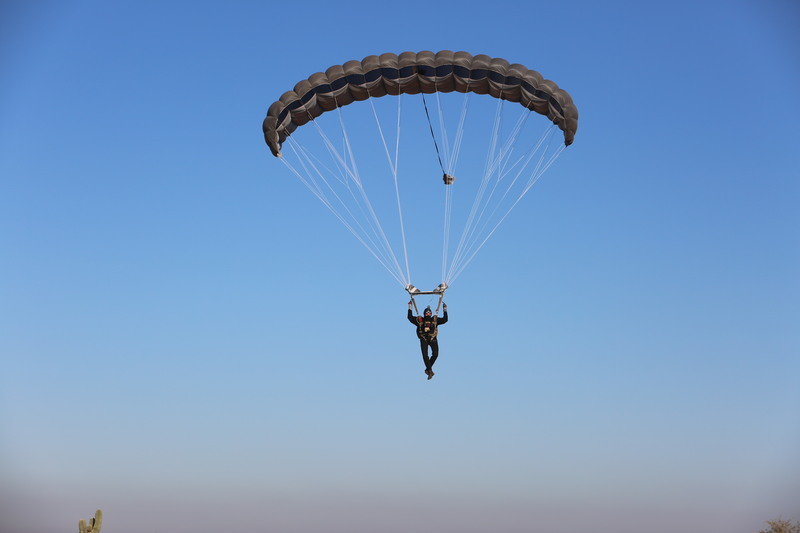 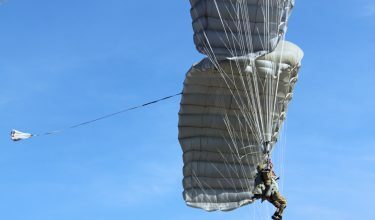 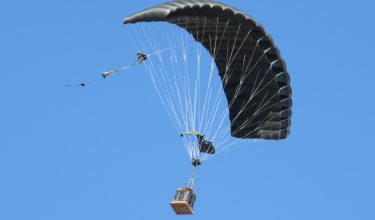 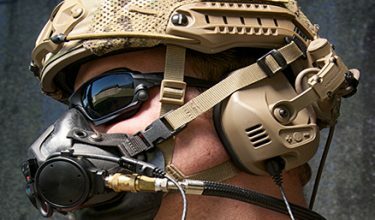 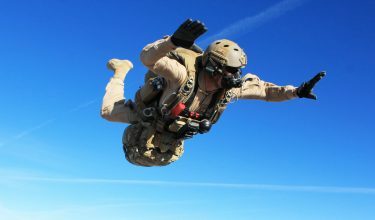 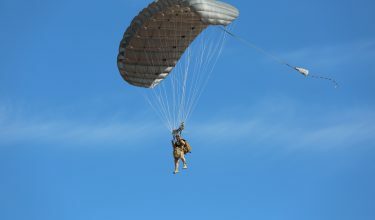 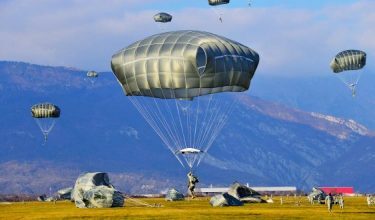 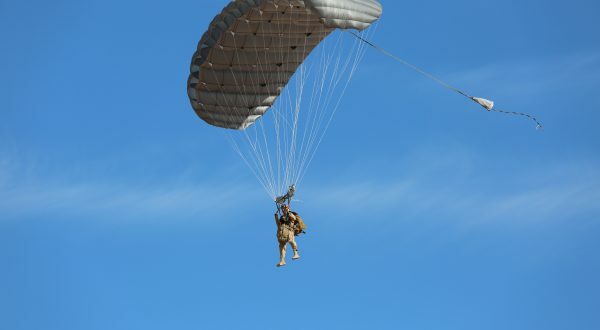 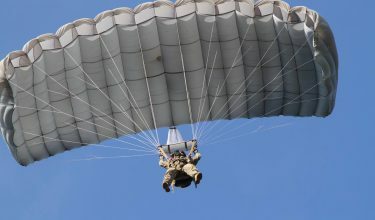 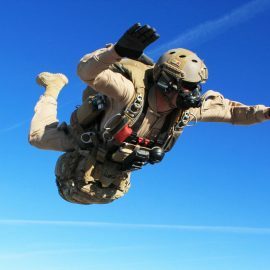 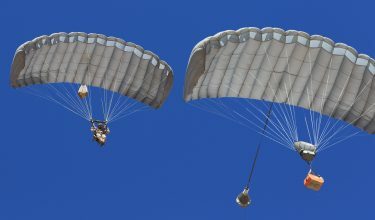 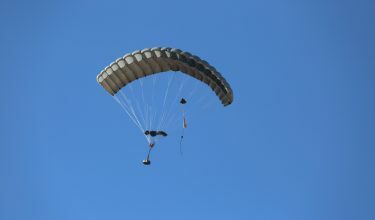 The Hi-5® is truly unique among military parachutes, demonstrating exceptional ram air glide performance while allowing glide modulation to descend quickly and land accurately. 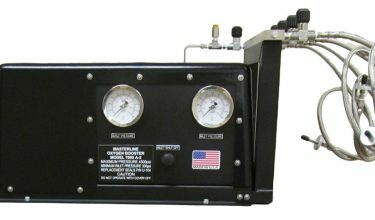 The Hi-5® has a remarkable 5.5:1 glide ratio and can transition to a 1:1 glide ratio with a simple control input using the Glide Modulation System. 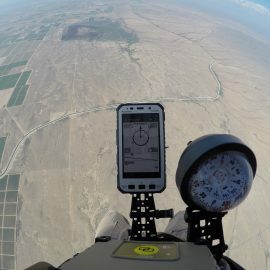 Unlike other methods of angle control, such as front riser trim tabs, Airborne Systems Glide Modulation System does not increase the total speed of the canopy, providing a safe transition at any altitude. 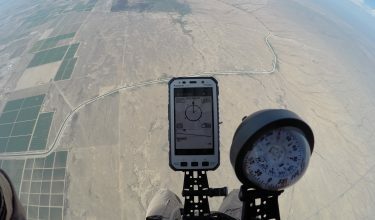 This eliminates the need for multiple spirals or S-turns at low altitude, and allows for extremely accurate landings using safe straight-in approaches. 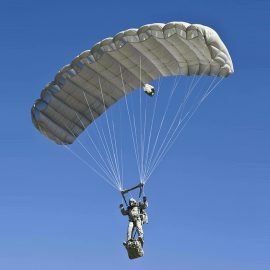 The jumper is in total control of where they are and when they arrive on target. 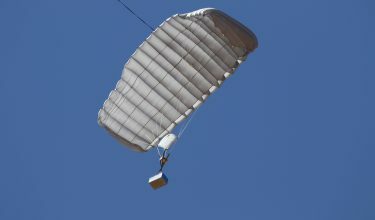 This groundbreaking technology is exclusive to Airborne Systems Hi-5®. 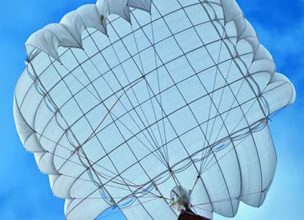 In addition to the leap forward in glide ratio technology, the Hi-5® is also easy to maintain and handle for a jumper, and very intuitive to pack for a rigger. 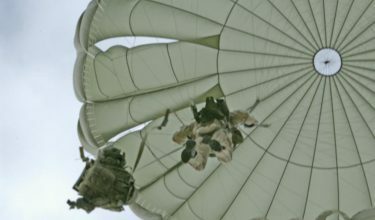 The Hi-5® bridges the gap between the Intruder®/RA-1 and our Hi-Glide parachutes, providing a wing with a high glide, accurate landings, and the ability to descend into tight areas safely. 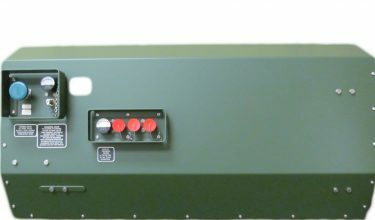 To learn more about our new product, watch the product video.